Wall germander,Teucrium chamaedrys ‘Prostratum’, produces an abundance of rose-colored flowers on long spikes that rise above evergreen, mounding foliage. Blooms appear through summer months. The glossy green evergreen foliage combined with the soft-colored blooms makes wall germander an excellent choice for a blooming groundcover; especially in areas where grass won’t thrive. This drought tolerant perennial loves the sun but will tolerate some shade as well. Use wall germander as a border plant or small hedge in edible gardens or cottage style perennial borders. Wall germander can also be used as an accent or mass planted in low-maintenance or rock gardens. Plants also thrive in containers as they appreciate the improved drainage. 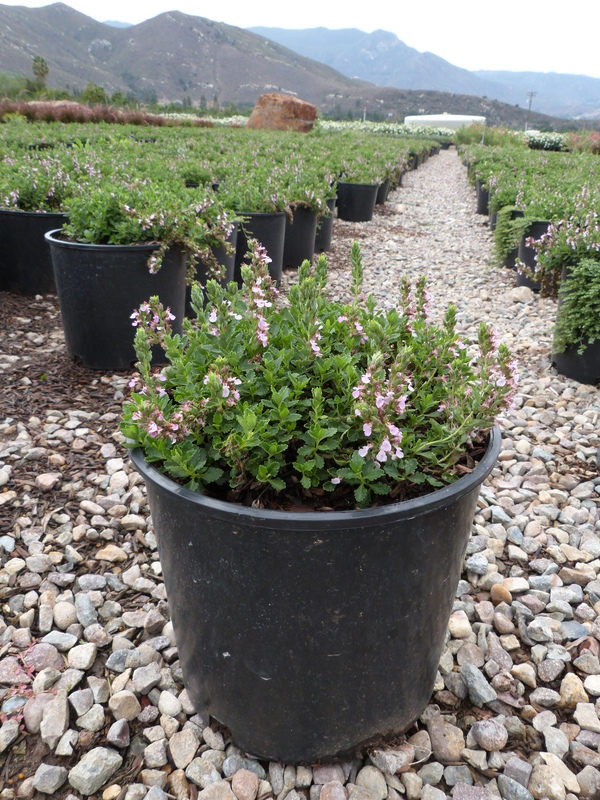 Wall germander always grows best in well-draining soils, but can adapt to a variety of soils. Excess moisture or water-logged soils can lead to plant decline.